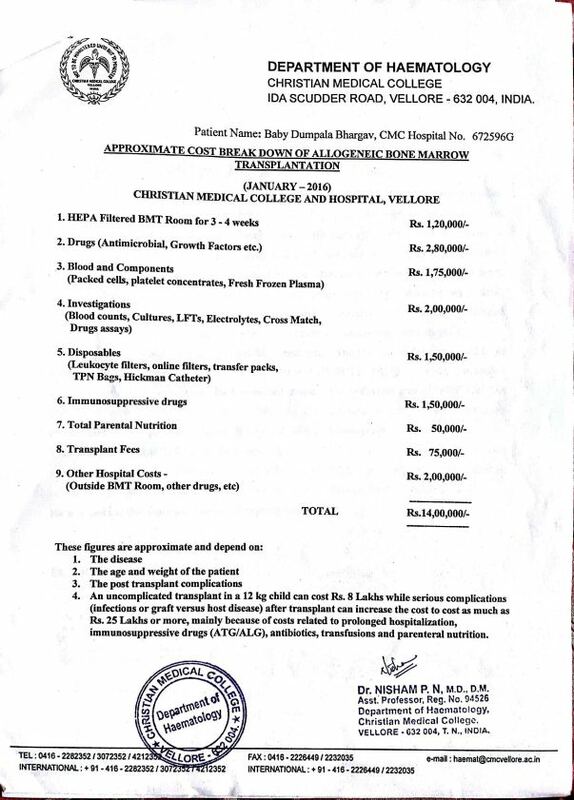 I am raising funds for Bhargav who is suffering with “severe combined immunodeficiency” and doctors suggested for the suggested surgery “bone marrow transplantation”. This is very expensive however my friend is not in a position to bare such a huge amount. Last year he spent so much of money for his father's cancer treatment so he is now in bad position. Baby boy has elder sister and her bone marrow is suited to this baby. Doctors are taking the marrow from her and doing surgery. 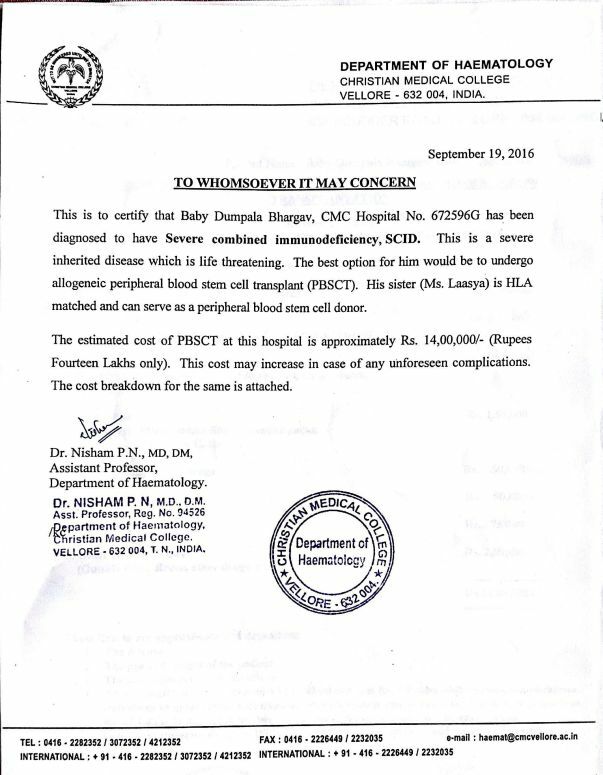 For this process it requires INR 15 lakh as per doctors. 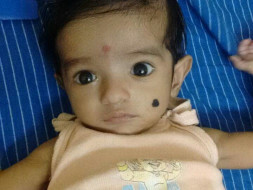 I am so sorry to tell you that baby Bhargav is no more. He had undergone few tests before the surgery could be performed. But before that could happen, his kidneys failed which became the reason for his demise. All funds raised were used to settle the hospital bills. We are still very thankful to all our donors who came and helped us in the time of need.